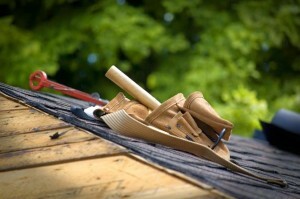 You are here: Home / Roof / When Is the Right Time to Call a Local Roofing Company? When Is the Right Time to Call a Local Roofing Company? Your roof is an integral part of your establishment. It protects your precious home and your loved ones from the harsh weather and outside dust. However, there may be times when your roof needs special attention. If your locality has recently been hit by a storm, you might notice fallen tree limbs on the roof or some parts ripped off the roof due to fierce winds. In such situations, if you are unsure about what to do, it may be time to call for professional roofing services in San Antonio. A number of roofing companies have the expertise to handle damaged roofs in the most professional manner. No matter what materials you need, what budget you have, or how urgent your requirement is, you can always find a reliable company to do the job. Whether you need to replace leaks, replace and match previous materials, patch up a damaged area, or clean and install new materials, it is best to trust the services of a professional company. If you notice that some shingles have come off the roof, it is best to immediately call San Antonio roofing contractors. If you leave missing shingles, they make the shingles around them more vulnerable, and they can eventually all come off and cause major damage to your roof. After a rain storm, inspect your roof thoroughly for any damage and get it fixed immediately to avoid future problems. Opt for regular cleaning and inspection of your roof to keep it safe and secure. Timely care will prevent major roofing hassles in the future.